The Grant Approvals Committee says it is very concerned that ambitious treatment goals in national programs are often not reflected in grant performance frameworks because of limitations in the allocations. The committee raised this issue in its report to the Board on the third batch of grant approvals for 2017-2019. The GAC called for urgent inter-agency discussions and it said that donor governments should be included in the talks. The Global Fund Board has authorized funding of $2.83 billion for 62 grants to 29 countries, plus two multi-country grants for small island states and a hybrid grant. Included in this total were eight matching funds requests valued at $48.6 million. The $2.83 billion is the largest amount approved in a single batch since the start of the new funding model. This was the third batch of approvals from the 2017-2019 allocations. The Fund faces a tough global development environment going into its next replenishment drive. An update on resource mobilization prepared for the recent Board meeting reflected on lessons learned from the Fifth Replenishment and outlined high-level strategies for the Sixth Replenishment. An audit conducted by the Office of the Inspector General of Global Fund grants to Burkina Faso documents a number of achievements and good practices, but also identifies a need to enhance the capacities of the three principal recipients. The largest PR, Programme d’Appui au Développement Sanitaire du Burkina Faso, lacks a program management unit. Only three of six planned windows for the 2017-2019 allocations have passed, but already the Board has approved grants collectively valued at 83% of the total allocation. This front-end loading is not surprising, given that 70% of existing grants have an end date of 31 December 2017. We provide an update on the various funding modalities. A social contracting diagnostic tool developed in Latin America and the Caribbean is being used during transition planning to assess whether civil society organizations are able to use government resources to continue providing prevention, treatment and care services to key and vulnerable populations. In advance of the Universal Health Coverage Forum scheduled for Tokyo, Japan on 13-14 December, several civil society organizations have prepared a statement calling for an end to the “business as usual” approach to achieving UHC. The CSOs said that countries continue to depend on unacceptable levels of out-of-pocket spending, in addition to fragmented and volatile donor funding. We describe, In brief, a new debt swap donation from Spain; the latest PEPFAR results; sales in 2017 by Apple’s (RED) products; the World Malaria Report 2017; delays in the $9.5 billion USAID global health supply chain project; and an expansion of the Global Gag Rule. As part of the Global Fund’s Debt2Health initiative, Spain has agreed to cancel outstanding debts of € 36.0 million owed by Cameroon, the Democratic Republic of Congo (DRC) and Ethiopia in exchange for investments by the three countries in domestic health programs supported by the Global Fund amounting to € 15.5 million. According to a news release issued by the Global Fund, Cameroon will invest € 9.3 in HIV programs; the DRC will invest $3.4 million in malaria programs; and Ethiopia will invest € 3.2 million euros to strengthen its health system. Under Debt2Health, creditors may agree to write off a portion of the debt owed to them, on the condition that beneficiary countries invest an agreed-upon amount in local programs approved by the Global Fund. To date, debts swapped under Debt2Health agreements by Australia, Germany and Spain total close to € 200 million. Spain has invested more than $700 million in the Global Fund since it was created. The World Health Organization (WHO) estimates that in 2016, $2.7 billion was invested in malaria control and elimination by governments of malaria endemic countries and international partners. The WHO said that this is less than half of what is needed to reach the first milestone of the Global Technical Strategy for Malaria 2016-2030, which is a reduction of at least 40% in malaria case incidence and mortality rates compared to 2015 levels. This information was contained in the World Malaria Report 2017 . More than half of the 2016 resources were channeled through the Global Fund. According to the report, more countries are moving towards elimination: In 2016, 44 countries reported fewer than 10,000 malaria cases, up from 37 countries in 2010. Since 2015, two-thirds of the 63 high-HIV-burden districts in 10 African countries implementing PEPFAR’s DREAMS program have achieved a decline of more than 25% in new diagnoses among adolescent girls and young women (AGYW) aged 15-24; in 14 districts, the decline was greater than 40%. DREAMS (Determined, Resilient, Empowered, AIDS-free, Mentored, and Safe) is an $385 million public-private partnership whose goal is to reduce HIV infection among AGYW in priority areas in 10 sub-Saharan Africa countries that accounted for nearly half of the new HIV infections that occurred among AGYW globally in 2014. 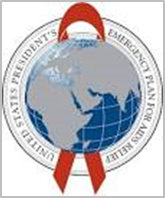 HIV testing supported for 85.5 million people. In 2017, Apple’s sales of PRODUCT(RED) goods – including special editions of the iPhone 7 and 7 Plus – produced revenues of more than $30 million for the Global Fund, Apple announced on 30 November. Apple described 2017 as “a record year” for (RED). “Connecting through our products and services helps make it easy for our customers to join us in the effort to create the first AIDS-free generation,” said Lisa Jackson, Apple’s vice president of Environment, Policy and Social Initiatives. Apple said that to date (RED) has raised over $500 million for the Global Fund. As a special promotion for World AIDS Day, more than 400 Apple stores featured a red Apple logo for the week. For every Apple Pay transaction made at a retail location, online or in-app, Apple said it would make a $1 donation to the Global Fund. In addition, Apple said, gaming developer King also rolled out limited-edition bundles across its popular titles — Candy Crush Saga, Candy Crush Jelly Saga and Candy Crush Soda Saga — with all proceeds from those in-app purchases going to the Global Fund. The contractor managing a $9.5 billion USAID global health supply chain contract in numerous developing countries, Chemonics International, has limited time to prove it can overcome a long list of problems, according to Devex, an online media platform for the development community. Internal documents obtained by Devex and interviews with USAID officials and current and former employees describe a massive logistical operation thrown into disarray by problems with planning, communication, information systems and management. The contract is the largest ever issued by USAID. The supply chain system forms the backbone of multiple U.S. government efforts (including PEPFAR) to combat the world’s deadliest diseases. For patients in need of malaria drugs or antiretroviral HIV treatments, Devex said, the difference between a functioning and a faltering medical supply chain in their country can be the difference between life and death. In January 2017, President Trump reinstated the Mexico City Policy, known as the “Global Gag Rule,” the U.S. policy that withholds funding from any international NGO that provides services for, information about, or references for abortion, even where it is legal, and even with its own private funds. But, according to a 1 December article in the Huffington Post, the Trump administration not only reinstated the Global Gag Rule, it expanded it – by 15 times. Now, it applies to all U.S. global health assistance – a total of about $9 billion. For the first time, the newspaper said, funding for maternal and child health, nutrition, malaria, tuberculosis, infectious and tropical diseases and more is held hostage, and providers are forced to choose between offering comprehensive health care or receiving critical U.S. funding. Roughly two-thirds of the funding affected by the expanded Global Gag Rule is for HIV programs around the world delivered under PEPFAR, it said. An analysis by the Kaiser Family Foundation in the U.S. revealed that had the expanded policy been in effect in the FY 2013 – FY 2015 period, at least 1,275 foreign NGOs – 639 as prime recipients of U.S. global health assistance and 658 as sub-recipients – would have been affected. In addition to foreign NGOs, at least 391 U.S. NGOs that received U.S. global health assistance during this period (as prime recipients) would have been required to ensure that their foreign NGO sub-recipients were in compliance.